Co-stars of "Gladiator" Russell Crowe, Connie Nielsen, and Tomas Arana reunite on the red carpet in Rome, Italy, during a special screening of their hit movie. The Italian Cinema Orchestra performed the entire soundtrack live to picture with the images, dialogue, and special effects. 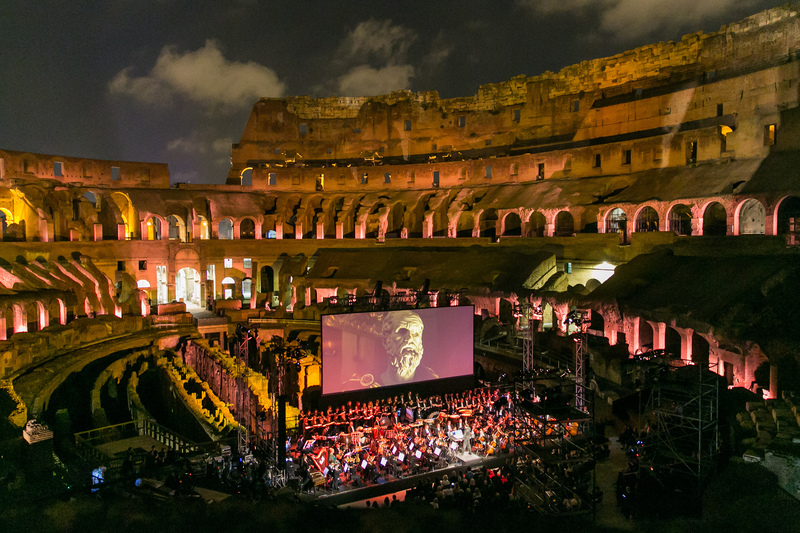 Conductor Justin Freer led the Italian Cinema Orchestra during the special screening of "Gladiator" inside the Colosseum.